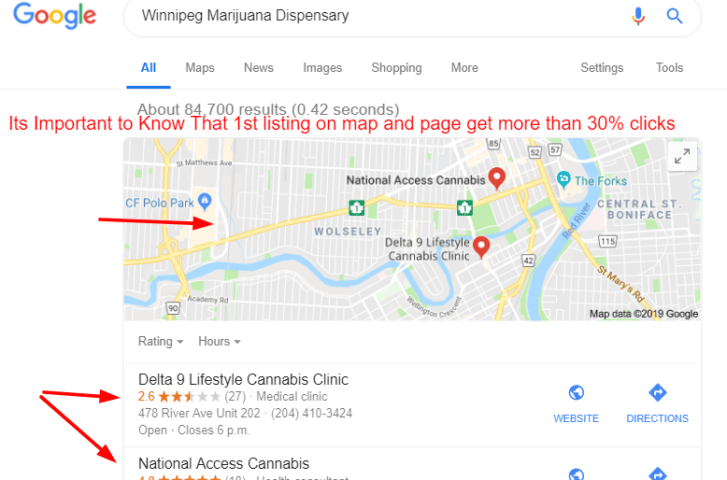 You are here: Home / Winnipeg Canada / How to Optimize Winnipeg Dispensary Using SEO? 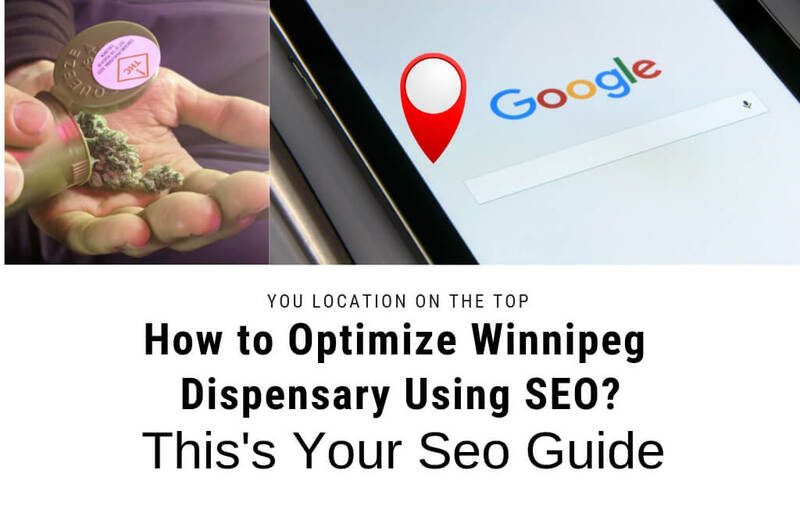 How to Optimize Winnipeg Dispensary Using SEO? With the legalization of recreational Marijuana in Canada, several dispensing stores have joined the yet-to-be luxurious market. A rapid increase in the number of marijuana stores has been reported, just a few months after the Senate passed the Marijuana law. The production, distribution, and sale of Marijuana, is still, however, governed by stringent rules. With new dispensaries joining the market, competition is an issue, especially on the online selling and marketing platform. Since the marketing and distribution of marijuana are controlled by law; certain marketing platforms cannot be used to run the Marijuana campaigns. This makes it difficult to reach out to potential customers via social media platforms such as Facebook. That said, there’s only one marketing strategy that has proved to be worth the investment- Google via the SEO services and marketing strategies. Search engine optimization is a marketing technique that has been in the market for many years. This technique has enjoyed rapid growth with Google being at the forefront in promoting healthy, safe and organic SEO strategies. With dispensary SEO; the ranking of a local dispensary on the search engines can be greatly improved. The process of optimizing any website on the search engines can be tedious and one that involves a lot of technical procedures. Since Google advocates for natural optimization techniques that involve the provision of quality content, use of trusted backlinks, relevant images, and videos- it’s vital to set up a solid SEO base in your marijuana dispensing website. To drive more online visitors to your website, it’s all about your ranking on the search engines. Certain techniques used by the traditional SEO companies don’t work, particularly for the Marijuana market due to its marketing policy. SEO tactics such as Facebook and Instagram organic page growth might not work for this type of business. There are two ways in which you can optimize your marijuana dispensary in and around the Winnipeg area. These are no secrets or some magic tactics- they are practical strategies that need proper organization and implementation to call it a success. Organic Marijuana SEO– this is a more sophisticated optimization tactic that makes sure your dispensary ranks top for the organic listings. With this technique, when anything related to marijuana or Marijuana dispensary around Winnipeg is searched on Google- your website appears first with content-rich articles. Local Marijuana SEO – with this technique, assume (it’s actually true) that you’re competing with the nearby dispensaries for Google Map listing. This way, when potential customer types “Marijuana dispensaries Winnipeg”- your dispensing store ranks first and the relevant Google Map appears. Quality content – if the articles you have in your site are irrelevant to the niche, chances are it’s among the sites that are constantly pushed to the bottom of the rank list. The articles should be informative and directional. Is it reader friendly? – Google can detect sites that are generic with a lot of backlinks and stuffed keywords. Once Google notices some suspicious dark SEO tactics- your site can be suspended or dragged to the bottom of the search engines. Bounce rate– this dictates the resourcefulness of your website. Google can clearly track the level of engagement your site attracts. If your dispensary website attracts visitors for less than 2 minutes, chances are your site is constantly losing the ranks. On-site optimization– this is a general term that houses a number of SEO techniques from the use of relevant titles, subheadings, META tags, keyword variations, and keyword density. Apart from the above tips, using relevant and quality pictures/ videos to accompany your content can be an added advantage. Well-optimized Long articles (1000-2000 words) can also boost the Google ranking since it covers more keywords and has higher relevancy as far as content provision is concern. To rank high on the local Google Map listing; make sure your dispensary is registered and verified with the Google My Business listing. The page should be full of relevant information from the name of the business, location, dispensing hours, lengthy descriptions, reviews, images to videos. You can also go creative and blog on your niche while linking to the two directories. Once you have a link to their websites, showcase your interest to these Marijuana Authority sites and let them have a link to your website too. 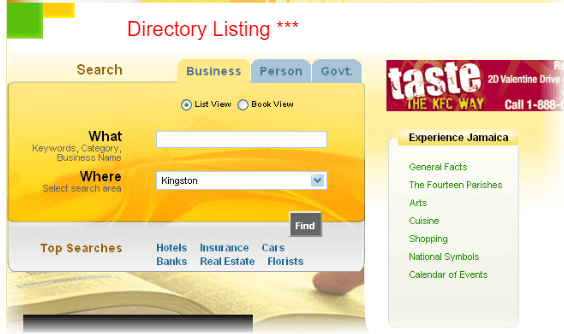 These directories should capture essential details such as the Name, Phone number, and Address of your business. Google uses these details to rank your dispensary on the Google Map listing. Every online entrepreneur understands the importance of traffic to his or her website. There’s only one way of staying relevant in the Marijuana market and that is -keeping a good rank on the online platform. If your business model doesn’t have solid SEO marketing techniques, then it’s time to seek some SEO services. If you’re also looking forward to ranking higher than your competitors in the Marijuana market- Counzila Web services have got you covered for all your Winnipeg SEO services. The company has stood the test of time with a good reputation as a competitive SEO and online marketing firm. Connect today and let the company’s expert marketers and SEO consultants take your marijuana business to the level it deserves. Next Post:☛ Best vegan burgers winnipeg ?